2505 Lorene Avenue Louisville, Kentucky 40216 | Home for Sale | MLS #1352399 | Joe Hayden Real Estate Team - Your Real Estate Experts! 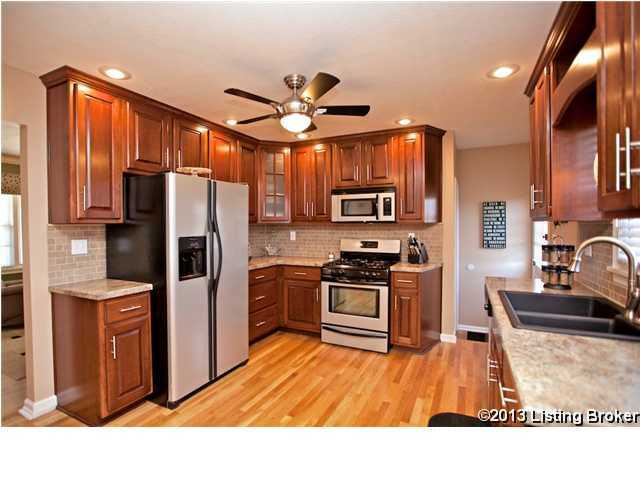 The totally remodeled kitchen is a one-of-a-kind with custom dark cabinets which were handmade by a local craftsman. The granite countertops are enhanced by a stone backsplash creating together the perfect setting for the new stainless steel appliances and the ultra-cool black granite composite sink that is non-chipping and non-staining. There are hardwood floors throughout the dining area which continue down the hall to the 3 large bedrooms. 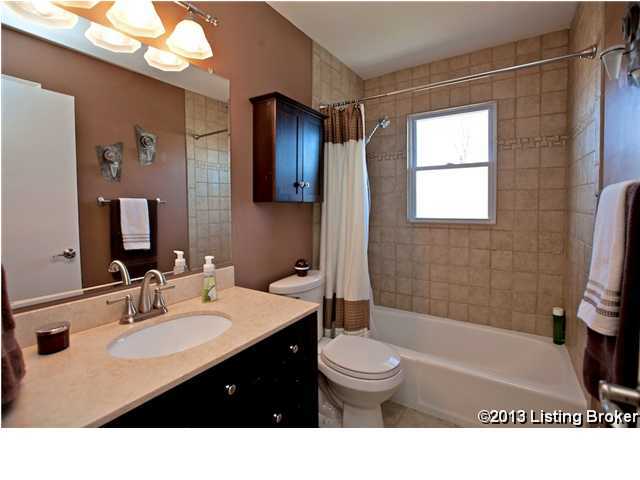 There you will also find the fully remodeled bath which features a high granite-topped vanity and ceramic tile. The remodeling work does not stop upstairs. Downstairs, you will find wood-grained laminate flooring and a large family room area. This room features additional built-in storage which was custom made for the space. 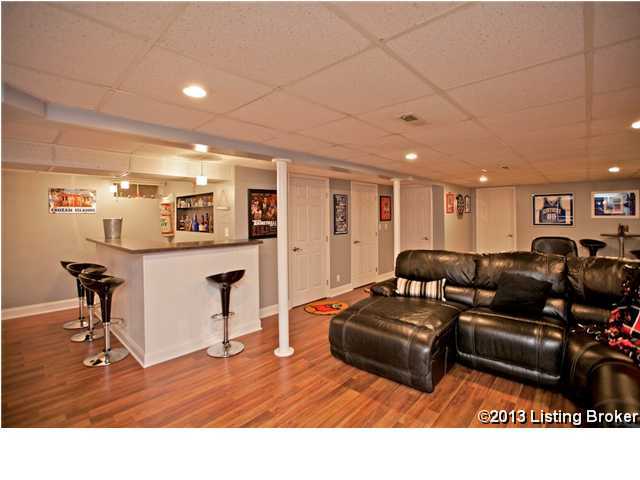 Perfect for entertaining, you will find a bar off to the left in a quiet nook. There is also a closed area behind the bar providing you with a large utility area for a full-sized washer and dryer and additional space for even more storage. Don't forget to check out what's behind the door at the far side of the main lower floor, this area could be a great office or exercise room! The home has a nice deck area off the kitchen and a large fully-fenced yard. As if all this hasn't convinced you, this home also received a new roof in 2009! Come see why 2505 Lorene Avenue in Louisville is the perfect place to call your new home!